Sweet, smokey and salty splendour.. 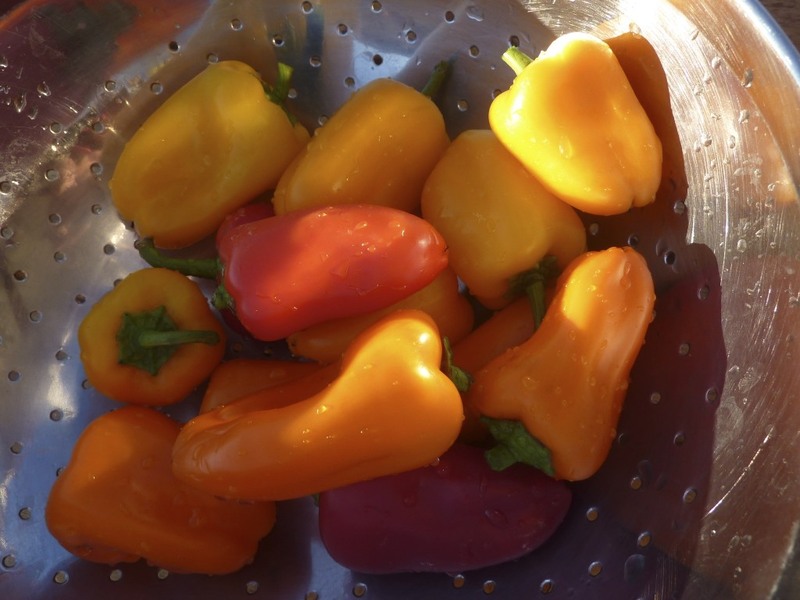 The baby sweet peppers in the market in the early fall can quickly become a tasty, easy, and colorful side dish. In the past, I have used them more for decoration, because I found them to be so colorful, petite and “tossable”. 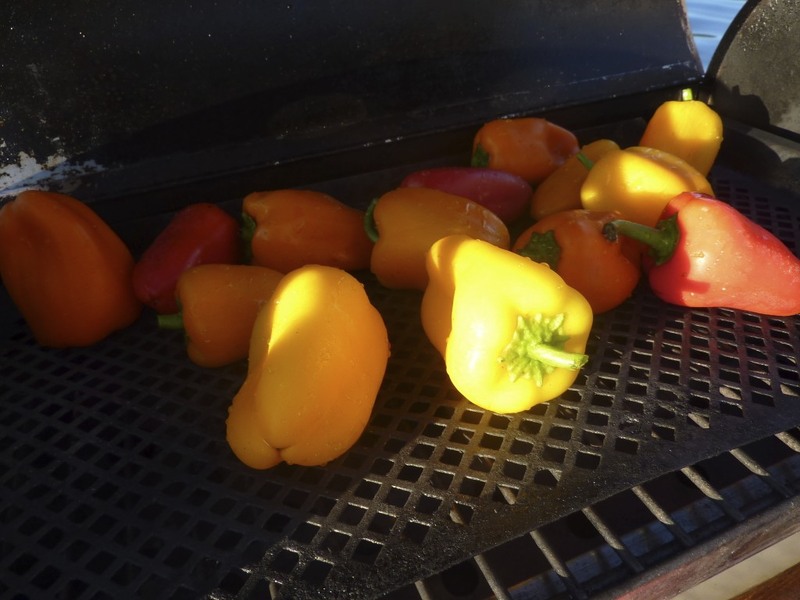 One night, the steaks were on the fire and I needed a side dish, so, after rinsing, I tossed some of the petite peppers onto the grill, along side the steaks. I haven’t stopped serving them this way since. and drizzle them with a little of your favorite olive oil, then sprinkle on some splendid sea salt. Pick them up by the stem, take a bite or two and savor the flavor. I guess I got the idea from one of my favorite restaurants in Seattle, The Harvest Vine, where I first enjoyed Pimientos De Padrón. 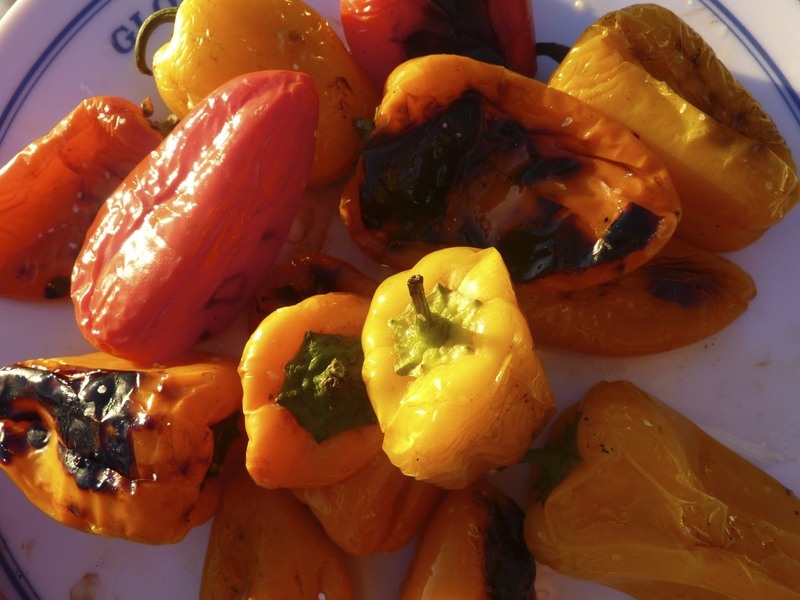 The difference in preparation is that they sauté the peppers in a pan, over the fire in olive oil. Sautéing in a pan is just another way to intensify the flavors and textures of the petite peppers of the world (if you don’t happen to be starting up the grill). 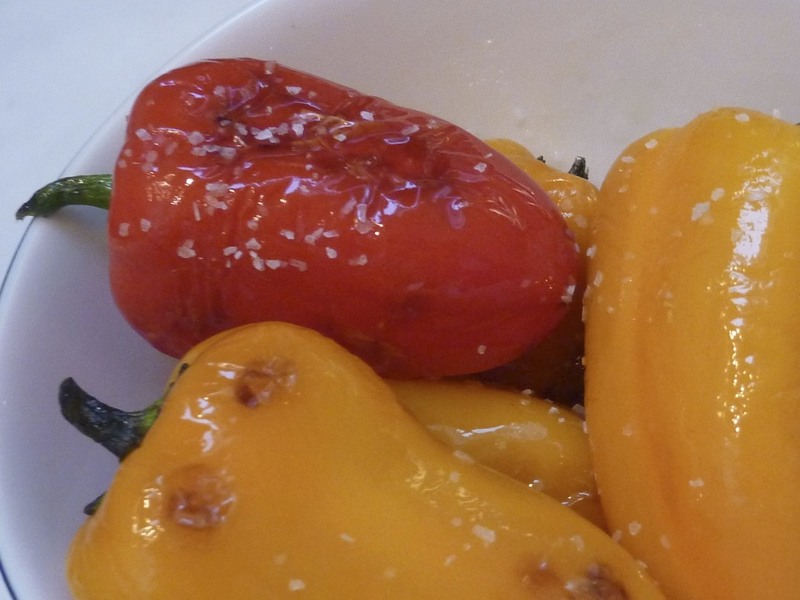 Just sauté the peppers in some tasty olive oil, salt and enjoy. To read more about Pimientos De Padrón, and the goat cheese medallions I like to serve with them, click on Pimientos De Padrón and Goat Cheese Medallions. yummie and we also had some wonderful peppers at boat street cafe the other night… i am loving them! Oh — I hope they still have the Padrons — they are a delight! You mentioned the Harvest Vine. Love that restaurant. Did you know that Joseph Jimenez de Jimenez is in my neck of the woods now? He's the consulting chef at the Swinery. Catered my last event and was scrumptious! bakergal — I have to make it over to try the Swinery! It sounds amazing! 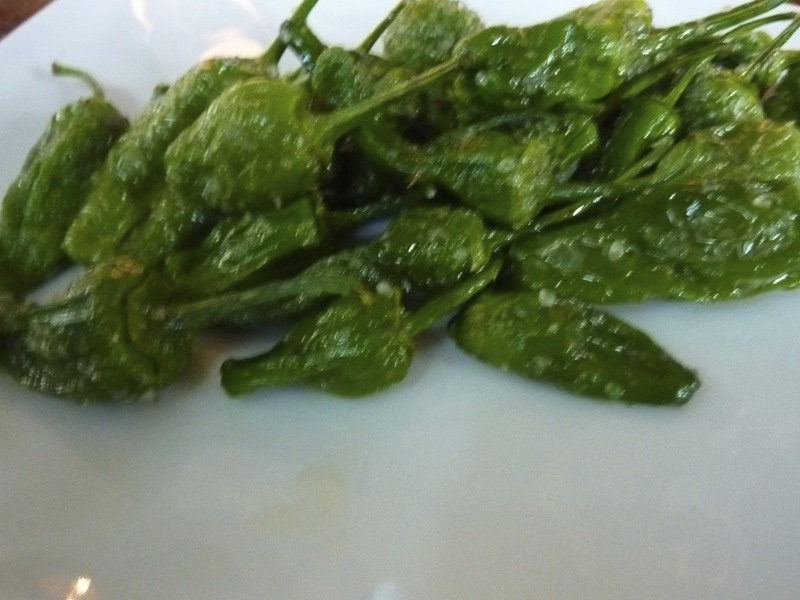 Bruce — I love the dangers of pepper roulette — have you tried the padron peppers? Most are nutty and mild, but every 10th pepper is firey! I linked to a post on them. What is your next pepper dish? ?